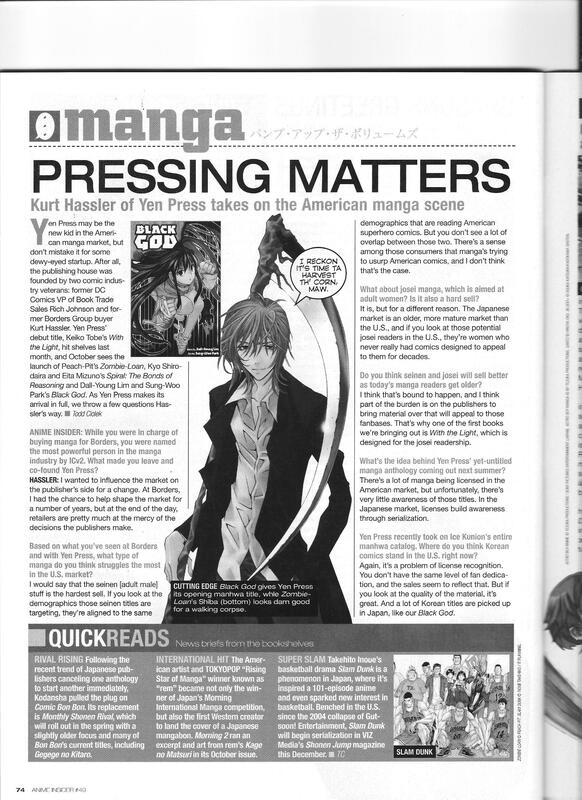 Yen Press co-founder Kurt Hassler talks about the weak market for Seinen/Josei titles in the US. This entry was posted in Old Magazine Articles and tagged Borderline Plagarism for the Freedom of Information, Kurt Hassler, Manga, Yen Press by torisunanohokori. Bookmark the permalink.